One of the major issues in software engineering is the measurement. Since traditional measurement theory has problem in defining empirical observations on software entities in terms of their measured quantities, Morasca tried to solve this problem by proposing Weak Measurement theory. 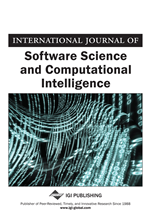 Further, in calculating complexity of software, the emphasis is mostly given to the computational complexity, algorithm complexity, functional complexity, which basically estimates the time, efforts, computability and efficiency. On the other hand, understandability and compressibility of the software which involves the human interaction are neglected in existing complexity measures. Recently, cognitive complexity (CC) to calculate the architectural and operational complexity of software was proposed to fill this gap. In this paper, we evaluated CC against the principle of weak measurement theory. We find that, the approach for measuring CC is more realistic and practical in comparison to existing approaches and satisfies most of the parameters required from measurement theory.